DNA Series: "T (Ologies Era)." 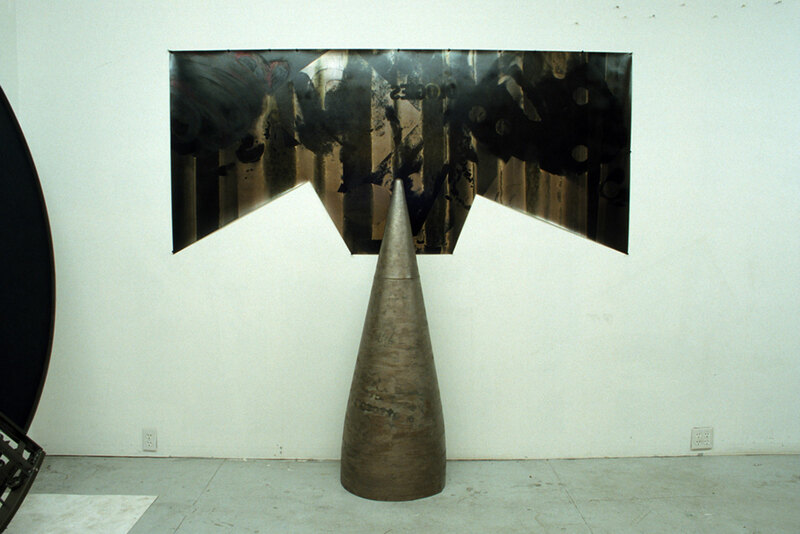 Combined Media on photographic Paper with Aluminum Sculpture. 89" x 39" and 56 1/2" x 63". 1992.